Cultural historian and writer Christopher Frayling explores how Hollywood movies helped to create Santa Claus and the modern global Christmas. Cultural historian and writer Christopher Frayling explores how Hollywood movies helped to create the modern global Christmas. If Dickens' A Christmas Carol invented the Victorian Christmas of family, good works and good cheer, Hollywood has created its modern counterpoint - Santa Claus, elaborate presents, hummable tunes, consumer satisfaction and family tensions and reconciliations. From Holiday Inn and Miracle On 34th Street to It's A Wonderful Life and White Christmas, Christmas movies are designed to create a warm glow in the audience. They have helped turn Christmas into a global event, spread across cultures and religions, and rebranded for the age of mass consumption. In the process, the meaning of Christmas has become comprehensively Americanised - complete with the ubiquitous iconography of Santa Claus, red-nosed reindeer, red costumes trimmed with white and shopping to the sound of piped seasonal muzak. 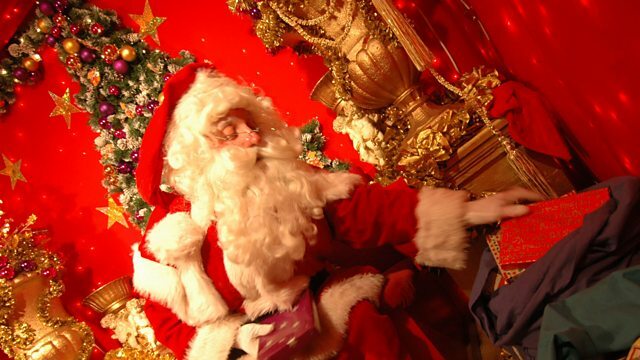 A cultural critic said recently that Santa Claus is to American material faith what Jesus Christ is to the spiritual. Christopher Frayling dives into the BBC archive to discover how this happened and why - with the help of filmmakers, advertisers and historians, as well as comedians, commentators and religious figures.